Born on June 21, 1935 in Oak Bluffs, the second child of Julia and Stanley Poole, Harriette was the first girl in the family in three generations. The family spent several summers in Gloucester, Maine and Bermuda in connection with her father’s work at the Woods Hole Oceanographic Institution and yachting. She caught her first fish (which a gull ate), learned to swim in frigid Maine waters and developed a sense of independence in her early years. 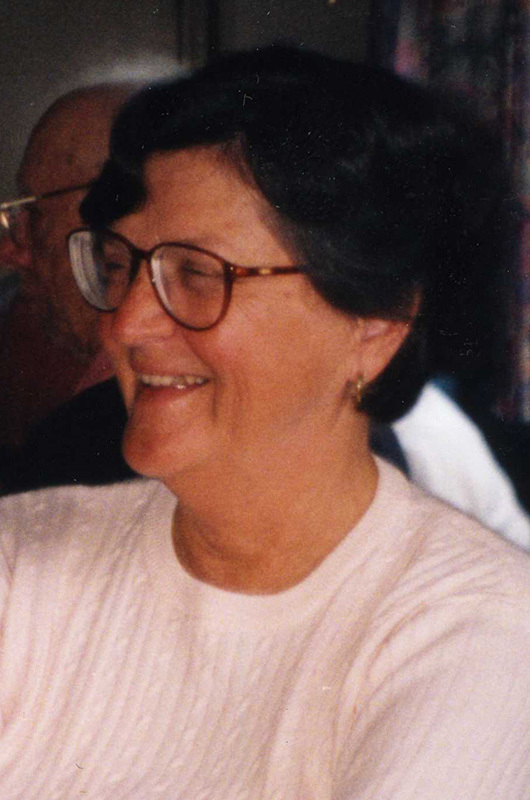 She attended the Menemsha School, graduated from the Tisbury High School in 1953 and from Bridgewater Teacher’s College in 1957 with a degree in elementary education. A week later, she and four friends drove from Woods Hole to Anchorage, Alaska, where she taught Army-dependent children for two years, followed by a year in Taylor, Mich. She then drove to California in a VW bug to deliver a rocking chair, taking along a wood tick for luck. In Sacramento, she secured a teaching position where she taught for five years, during which time she met and married Capt. Gerald Otteson USAF, in 1964. The military moved them to Puerto Rico, where Harriette taught military-dependent children for three years, then relocated to Fuchu, Japan. There, she studied flower arranging and taught conversational English in the People to People program. Retiring to Fairhope, Ala., the couple lived there 10 years. In 1984, Harriette returned to her ancestral home in Chilmark where she continued to travel extensively on all seven continents, garden and bird watch. She also served the town on cemetery, historical and conservation commissions, worked at the polls and researched family and town history. Harriette, always open to trying new things, rolled bandages in World War II, took in a Fresh Air child, walked around the Island via the beach, parasailed, took dance lessons and rode out stunts in open cockpit stunt planes. On her 80th birthday, she ziplined down the Olympic ski jump at Oslo, Norway. She studied photography and held a certificate in interior design. She was punctual, resilient, laughed easily and positive, no matter what. She was predeceased by her husband of 20 years and by her brother, Matthew A. Poole, of Chilmark. She is survived by her nephew, Matthew E. Poole and family of Chilmark; niece Jennifer Sausville and family of Falls Church, Va.; cousins, Everett, Katharine and Donald Poole of Chilmark, and Joan Nash and family of Newton, Paul Gallant of Vermont, Julia Flashner of Boston and Hanna Kanninen and family of Espoo, Finland. She continued to keep close contact with her husband’s sister, Doris Hawkins, and family members, many of whom survive her and live in Blacksburg, Va.
A graveside service will take place on Monday, Oct. 29 at 12:30 p.m. at Abel’s Hill Cemetery in Chilmark. Another "Vineyarder" and Chilmark person who passed away (in Oct.2018) and will be missed is Harriette Poole Otteson.